With the rapid economic development, more and more highway is constructed. 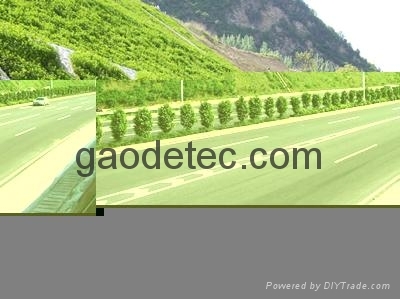 Usually, there are a lot of hillside need be greened around the highway. It will be impossible for man power to finish the green construction. What is the best choose for greening? It is hydroseeding. Hydroseeding is the agglomeration of granules to form a pelletized structure, reinforcing fibers in which to play a similar plant rhizome network reinforcement effect, thus creating a certain thickness of resistant to rain, wind erosion, strong breathable, and natural topsoil similar or better porous stabilized soil structure.